In 1865, the Reverend Carl Sylvius Völkner was hanged, beheaded, his eyes eaten and his blood drunk. In January 1872, Kereopa Te Rau, (Kaiwhatu: the Eye Eater), was hanged in Napier as retribution. While the two events were directly related, were there more similarities than just death by hanging? Wells bookends his story with visits to Opotiki, where Völkner died, and Napier, the scene of Te Rau’s death. He examines the modern day appearance of both (one is now a hostel) with the historical appearance. And he talks to those responsible for the up-keep of the graves of the two men. Völkner’s is seen as a martyr’s grave whereas Te Rau’s is viewed with a degree of shame. Both men are set in their historical context. Völkner was formerly a missionary for the North German Missionary Society, in part driven to this work by the dire financial situation in Germany at the time. However, after a strained financial relationship with his mother order, he swapped to the Anglican missions – they at least paid regularly. As an Anglican missionary, Völkner considered it part of his job to communicate with both the Church and Government on conditions in his part of New Zealand. And this proved fatal for him in 1865 as war visited his corner of the Bay of Plenty in 1865. Te Rau’s history is less well known, though he was given a “Christian” name – Kereopa is the Maori version Cleophas (one of a group of Jews who met Christ three days after the Crucifixion). Te Rau at some point converted to Pai Marire, or Hauhau. Personal circumstances placed him on the Kingite side of the Maori Wars, and this enabled him to evade early capture until late 1871. While the demand for revenge for Völkner’s death was loud immediately after, as time wore on more were prepared to see the act as more political than criminal. As a consequence there were a few campaigning for clemency. 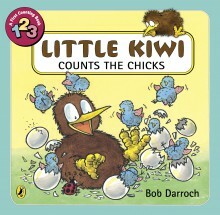 Völkner’s killing was an incident that shocked settler New Zealand. 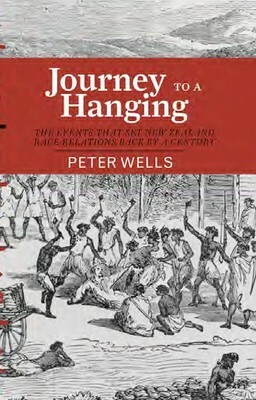 There was much satisfaction with the hanging of Te Rau. Wells does a good job of placing both events in both their historical and modern context.